Blue was imported to Pompeii from Egypt. In keeping with its origins, it was originally called ‘Egyptian blue’, but was later known as ‘Pompeian blue’. It was an absolute luxury – and had been used to decorate walls in ancient Egypt since at least 2,500 B.C. Even then, prices were determined by supply and demand; in Pompeii, blue was so highly sought after that its price sometimes even surpassed that of the astronomically expensive purple. 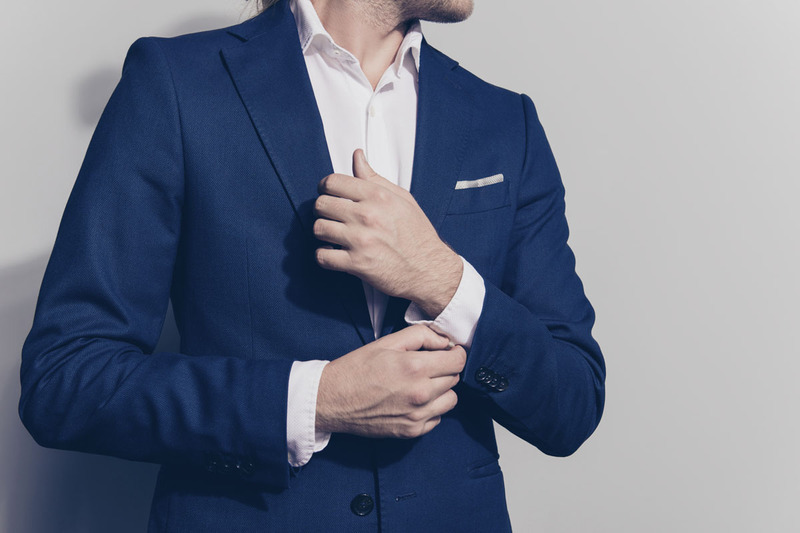 Blue is generally associated with calm, reliability and loyalty (‘true blue’), which is one of the reasons why it is so popular in the professional and political worlds. At the swearing-in ceremony of Germany’s government ministers in March 2018, three female ministers wore outfits in resplendent blue (two of which were virtually identical, although this was unplanned). Globally, blue is by far the most popular colour. Blue comes across as calm, sober and reserved. It’s the cool big sister of dominant red. Blue is content to be in the background. It makes rooms seem larger and more expansive than they really are. It guides the viewer’s gaze into the distance, thus creating a sense of infinity. It’s a colour that soothes, creates a certain openness and thus nurtures creativity. It reminds us of the sky and sea and makes some of us feel a little melancholy; otherwise, Pablo Picasso would probably never have had a Blue Period. 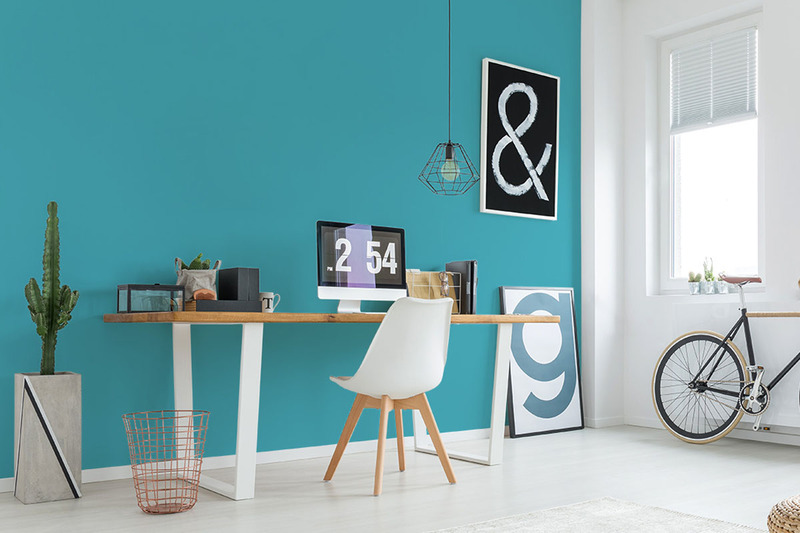 Entire rooms can be painted in lighter shades of blue; the richer the blue, the more it lends itself to subtle colour touches. Lucius Acilius Strabo was not only a consul, but also spent time as an official in Germania (possibly as a governor). He is remembered by a stone inscription in the ancient quarries of the Brohl Valley (in the Eifel mountain range) in Germany. This delicate blue is reminiscent of the Laach volcanic lake near the Brohl Valley. The gens Caecilia was one of Rome’s most important families. The founding father of the family, Caeculus, was a son of the god Vulcan. An unusually large number of the family’s female representatives made their mark on Roman history. After all, the conventions of the time dictated that women should not draw too much attention to themselves. But the Caecilian women did not follow this convention. Even today, you can still admire the imposing tomb of Caecilia Metella on the Via Appia. Strong and impressive – just like the shade of blue named after the family. The poet Ausonius was born in Bordeaux (where the Colours of Pompeii are produced) in ca. 310 A.D. In 365, he travelled to Trier (which was then one of the Roman Empire’s most important cities) to tutor the emperor’s son Gratian, who would later become emperor himself. In Trier, he would write Bissula (a poem addressed to a ‘blonde, blue-eyed Germanic girl’) and his most famous work, Mosella, a 483-hexameter hymn to the River Mosel, its landscape and to Trier. This blue calls to mind the River Mosel and the blue eyes of Bissula, the Germanic girl with whom Ausonius fell in love in Trier and whom he eventually married. ‘Trebius Valens, vote for Gaius Iulius Polybius as the aedile for road-building and public buildings. And you with the lantern, hold my ladder film! (Latin: lanternari tene scalam).’ These are the words written on the house of Trebius Valens in Pompeii. It is one of many electoral slogans for the local elections that were apparently daubed on the house during the night, with this one coming courtesy of a prankster. Even more interesting are the walls inside the house, which boast frescoes in the second and third Pompeian styles – some of which are in the blue that served as the forerunner for this tone. 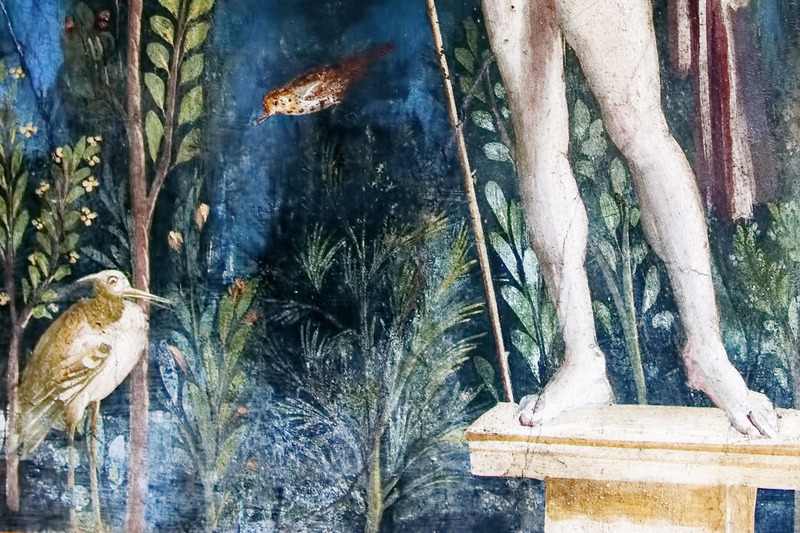 One particular fresco, with squares in different colours, inspired the brand design of Colours of Pompeii.